Henry, Franz and I arrive early in the morning in the square of Moyobamba, the first city founded by the Spanish Conquerors in the northern jungles of Peru. We are here to implement part of PMP’s strategic expansion plan that will have us opening centers in the cities of Moyobamba, Tarapoto and Yurimaguas. Henry is in charge of finding the spaces where our centers will be located. They should be welcoming and strategically placed. Franz and I are here to work on the marketing and communications strategies of the plan. Later, our health managers and recruitment professionals will arrive to this city to form the Pro Mujer team here. Moyobamba, also known as the city of orchids, has about 65,000 inhabitants, nearly half of them women. More than 30% of them have a small business, mostly located in urban areas. 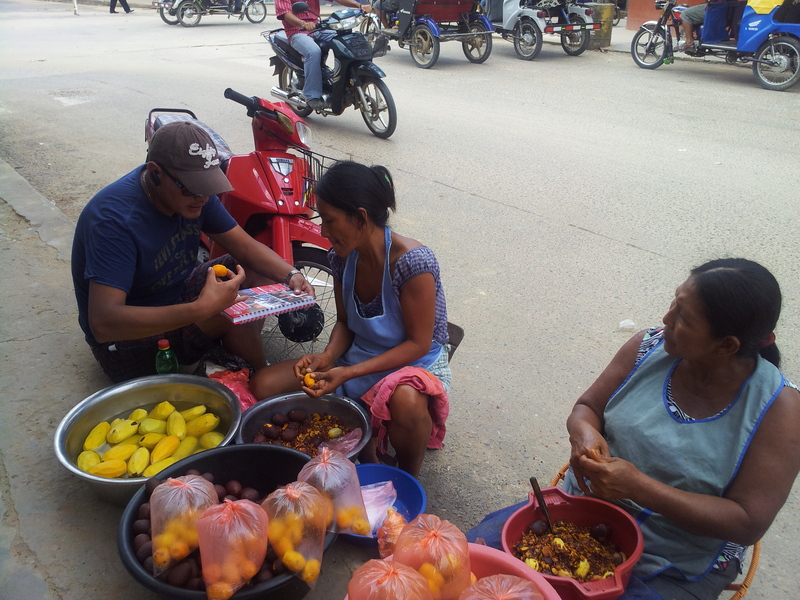 Near the main square, I meet a group of women selling aguaje – one of the most consumed fruit in the Peruvian jungle. I asked them who gave them the loans to set up their small business and the authorization to operate there and they respond, “No one. We’ve been gathering alone, and the municipality allows us to sell our products here.” I imagine them working with Pro Mujer, going to one of our centers, forming solidarity groups and communal bank lending groups, receiving our health services, learning new ways to manage their businesses and expanding their opportunities to break the cycle of poverty. Yesterday we were in Tarapoto, the city of palm trees, a dynamic, cheerful city where kindness reigns and women work really hard. Its population is more than 68,000 inhabitants, of whom more than half are women, and nearly 5,000 have micro businesses, almost all located in urban areas. After Moyobamba we visited Yurimaguas, a city that represents a different challenge. There we see a different environment. Low-income women do not look so happy compared with Moyobamba and Tarapoto. They are shy and talk less. Yurimaguas has more than 60,000 people and half of them are women. Over 2,000 of them have micro businesses, mostly in urban areas. Shortly after, I visit the Service Office for the Protection of Women and Children to inquire about the services and activities they offer. I knock on the door several times. A man opens it and he gives me some answers that make me feel like any woman who goes there will be disappointed. At the same time, I imagine how she will feel when our center in Yurimaguas is in full operation. Henry interviews potential clients for Pro Mujer in Moyobamba, Peru. At the end of the week, we return to our offices in Puno in the southeastern part of the country. 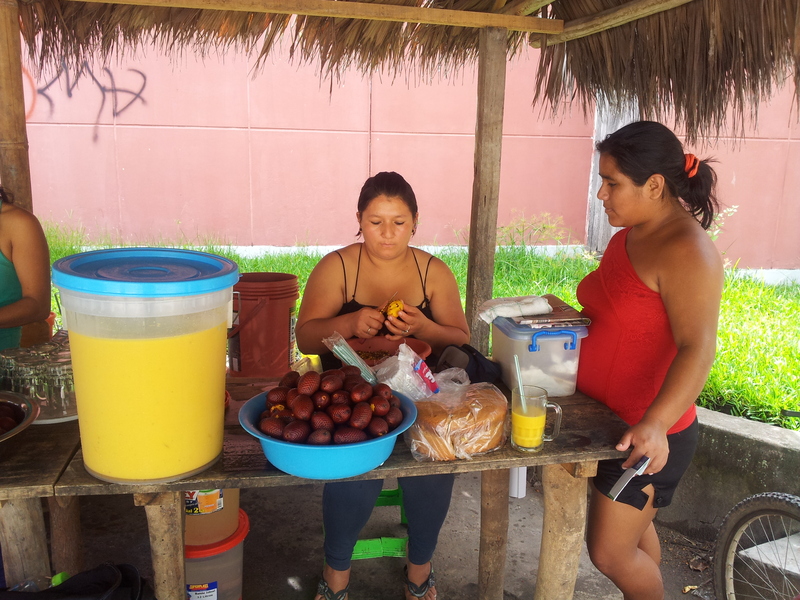 My colleagues have the opportunity to talk to women in the markets, streets and the nearby villages, and they conclude that the presence of Pro Mujer in these cities is so needed. We are inspired by this plan and we cannot wait to serve the strong and hardworking women of Moyobamba, Tarapoto and Yurimaguas as we do with 60,000 other women in Peru and 270,000 across Latin America. These vital financial, education and healthcare services will help them generate a living and carve out a better future for themselves and their families. In that process they will realize their true value and transform their lives.